In addition to being regulated by the Fair Debt Collection Practices Act (FDCPA), Maine collection agencies are also regulated by Maine debt collection laws. Discover: Maine collection requirements, bad check laws (NSF), statutes of limitations for both debts and judgments, garnishments plus Maine collection agency license and bonding information. You may garnish 25% of disposable income or 40 times the federal minimum wages per week |whichever is less| After judgment only. 1. Communication. “Communication” means the conveyance or receipt of information regarding or facilitating the collection of a debt, directly or indirectly, to or from any person through any medium. 2. Conducting business in this State. “Conducting business in this State” means the collection or attempted collection of a debt due another by a debt collector located in this State; the face-to-face solicitation of creditors in this State as clients and the collection or attempted collection of their debts by a debt collector, wherever located; or the collection or attempted collection of debts incurred between a consumer in this State and creditor in this State by a debt collector, wherever located. 3. Consumer. “Consumer” means any natural person obligated or allegedly obligated to pay any debt. 4. Creditor. “Creditor” means any person who offers or extends credit creating a debt or to whom a debt is owed, but that term does not include any person to the extent that he receives an assignment or transfer of a debt in default solely for the purpose of facilitating collection of that debt for another. 5. Debt. “Debt” means any obligation or alleged obligation of a consumer to pay money arising out of a transaction in which the money, property, insurance or services that are the subject of the transaction are primarily for personal, family or household purposes, whether or not the obligation has been reduced to judgment. “Debt” includes any obligation or alleged obligation for payment of child support owed to, or owed by, a resident of this State and any obligation or alleged obligation relating to a check returned because of insufficient funds if a consumer is subject to an enforcement program operated by a private entity. 6. Debt collector. “Debt collector” means any person conducting business in this State, the principal purpose of which is the collection of any debts, or who regularly collects or attempts to collect, directly or indirectly, debts owed or due or asserted to be owed or due another. “Debt collector” includes persons who furnish collection systems carrying a name that simulates the name of a debt collector and who supply forms or form letters to be used by the creditor even though the forms direct the debtor to make payments directly to the creditor. Notwithstanding the exclusion provided by section 11003, subsection 7, “debt collector” includes any creditor who, in the process of collecting the creditor’s own debts, uses any name other than the creditor’s that would indicate that a 3rd person is collecting or attempting to collect these debts. “Debt collector” includes any attorney-at-law whose principal activities include collecting debts as an attorney on behalf of and in the name of clients, except that any such attorney licensed to practice law in this State is subject exclusively to subchapter 2 and any such attorney not licensed to practice law in this State is subject to this entire chapter. “Debt collector” also includes any person regularly engaged in the enforcement of security interests securing debts. “Debt collector” does not include any person who retrieves collateral when a consumer has voluntarily surrendered possession. A person is regularly engaged in the enforcement of security interests if that person enforced security interests more than 5 times in the previous calendar year. If a person does not meet these numerical standards for the previous calendar year, the numerical standards must be applied to the current calendar year. 7. Location information. “Location information” means a consumer’s place of abode and his telephone number at that place or his place of employment. 8. Person. “Person” means any natural person, corporation, trust, partnership, incorporated or unincorporated association and any other legal entity. 9. Administrator. “Administrator” means the Superintendent of Consumer Credit Protection. 10. Supervised financial organization. “Supervised financial organization” has the same meaning as defined in Title 9-A, section 1-301, subsection 38-A. 6. Attorneys-at-law collecting debts on behalf of a client. 8. Collection activities related to the operation of a business. Any person whose collection activities are confined to and directly related to the operation of a business other than that of a debt collector, such as, but not limited to, financial institutions regulated under Title 9-B. F. After the debt collector knows the consumer is represented by an attorney with regard to the subject debt and has knowledge of, or can readily ascertain, that attorney’s name and address, not communicate with any person other than that attorney, unless the attorney fails to respond within a reasonable period of time to communication from the debt collector. 2. Communication with 3rd parties. Except as provided in section 11011, without the prior consent of the consumer given directly to the debt collector, or the express permission of a court of competent jurisdiction, or as reasonably necessary to effectuate a post-judgment judicial remedy, a debt collector shall not communicate, in connection with the collection of any debt, with any person other than the consumer, his attorney, a consumer reporting agency if otherwise permitted by law, the creditor, the attorney of the creditor or the attorney of the debt collector. If the notice from the consumer is made by mail, notification shall be complete upon receipt. 4. Consumer defined. For the purpose of this section, the term consumer includes the consumer’s spouse; parent, if the consumer is a minor; guardian; executor; or administrator. 4. Reporting to consumer reporting agency. A debt collector may not report solely in its own name any credit or debt information to a consumer reporting agency, as defined by Title 10, section 1312, subsection 4. 5. Reporting certain unpaid medical expenses; court or administrative orders. A debt collector may not report to a consumer reporting agency any credit or debt information regarding overdue medical expenses owed by a parent for a minor child if the debt collector is notified orally or in writing of the existence of a court order or administrative order identifying another person as the party responsible for payment of medical expenses for that minor child. In addition, a report may not be made until after the debt collector has notified, or made a good faith effort to notify, the responsible party of that party’s obligation to pay the overdue medical expenses. The debt collector may request reasonable verification of the order, including requesting a certified copy of the order. 2. Cease collection. If the consumer notifies the debt collector in writing within the 30-day period described in subsection 1 that the debt, or any portion of the debt, is disputed or that the consumer requests the name and address of the original creditor, the debt collector shall cease collection of the debt or any disputed portion of the debt, until the debt collector obtains verification of the debt or a copy of the judgment, or the name and address of the original creditor, and a copy of the verification or judgment, or name and address of the original creditor, is mailed to the consumer by the debt collector. If any consumer owes multiple debts and makes any single payment to any debt collector with respect to the debts, the debt collector may not apply that payment to any debt which is disputed by the consumer and, where applicable, shall apply that payment in accordance with the consumer’s directions. 1. Unlawful activity. It is unlawful to design, compile and furnish any form knowing that the form would be used to create the false belief in a consumer that a person other than the creditor of the consumer is participating in the collection of or in an attempt to collect a debt the consumer allegedly owed the creditor, when in fact that person is not so participating. 2. Extent of liability. Any person who violates this section shall be liable to the same extent and in the same manner as a debt collector is liable under section 11054 for failure to comply with a provision of this Act. 1. Right to take possession after default. A debt collector acting on behalf of a creditor may take possession of collateral only if possession can be taken without entry into a dwelling, unless that entry has been authorized after default and without the use of force or other breach of the peace. 2. Return of private property. A debt collector shall inventory any unsecured property taken with repossessed collateral and immediately notify the consumer that the property will be made available in a manner convenient to the consumer. A collection agency or repossession company shall comply with the provisions of the federal Gramm-Leach-Bliley Act, 15 United States Code, Section 6801 et seq. (1999) and the applicable implementing federal Privacy of Consumer Information regulations, as adopted by the Office of the Comptroller of the Currency, 12 Code of Federal Regulations, Part 40 (2001); the Board of Governors of the Federal Reserve System, 12 Code of Federal Regulations, Part 216 (2001); the Federal Deposit Insurance Corporation, 12 Code of Federal Regulations, Part 332 (2001); the Office of Thrift Supervision, 12 Code of Federal Regulations, Part 573 (2001); the National Credit Union Administration, 12 Code of Federal Regulations, Part 716 (2001); the Federal Trade Commission, 16 Code of Federal Regulations, Part 313 (2001); or the Securities and Exchange Commission, 17 Code of Federal Regulations, Part 248 (2001), if the collection agency or repossession company is a financial institution as defined in those regulations. This section is not intended to permit the release of health care information except as permitted by Title 22, section 1711-C or Title 24-A, chapter 24. 1. Licenses required. Except as provided in this subchapter, no person may conduct the business of a debt collector in this State without a valid license issued by the superintendent. 2. Licenses. Licenses granted by the superintendent under this section are for a period of 2 years and expire on July 31st or at such other times as the superintendent may designate. Each license may be renewed biennially as long as the superintendent regards the business as responsible and safe, but in all cases terminate unless renewed by the expiration date. Each license must plainly state the name and business address of the licensee and be posted in a conspicuous place in the office where the business is transacted. The fee for each biennial license is $400. When the unexpired license term of an applicant is or will be less than one year at a time of licensure, the license fee may not exceed 1/2 the biennial license fee. If a licensee desires to carry on business in more than one place, the licensee shall procure a branch office license for each additional place where the business is to be conducted. The fee for each biennial branch office license is $200. 3. Applications. Applications for a license shall comply with the following requirements. 4. Change in ownership or management. A change of 25% or more in ownership or management of any corporate licensee, or of the partners in any partnership licensee, shall require the filing of a new application under this section. The administrator shall require each licensee to file and maintain in force a surety bond, in a form prescribed by and acceptable to the administrator and in such sum as the administrator may deem reasonably necessary, to safeguard the interests of the public. 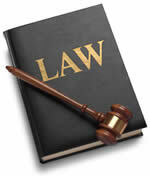 The terms of the bond must run concurrent with the period of time during which the license will be in effect. The bond may be cancelled by the surety on the bond by giving 30 days’ notice to the administrator, but the cancellation may not in any manner affect the liability of the surety as to anything occurring prior to the cancellation. In evaluating a license application, the superintendent shall consider the criminal record of any individual applicant, of any partner, if the applicant is a partnership, of any officer or director, if the applicant is a corporation, or of any employee of the foregoing, in accordance with Title 5, chapter 341. No license may be granted to any lawyer, whose license to practice law has been suspended or revoked, during the effective period of that suspension or revocation. The superintendent may make such reasonable rules, not inconsistent with this chapter, pertaining to the operation of the business of licensees as he deems necessary to safeguard the interest of the public. The rules shall be adopted in the manner prescribed in the Maine Administrative Procedure Act, Title 5, chapter 375, subchapter II. The superintendent may issue advisory rulings pertaining to the applicability of any statutory provision or any rule adopted under this chapter and shall provide by rule for the filing and prompt disposition of requests for advisory rulings. 1. Financial statements. The administrator may at any time require a licensee to submit to the bureau such financial statements as determined necessary for examination by the administrator so that the administrator may determine whether or not the licensee is financially responsible to carry on a debt collector’s business. 2. Books and records. The superintendent shall require the licensee to keep such books and records in this State as will enable the superintendent to determine whether the provisions of this chapter are being complied with. At the superintendent’s option, a licensee may keep the books and records in a location outside this State, provided that the licensee agrees to produce the books and records in this State upon demand. Every licensee shall preserve the records of final entry used in that business for a period of 2 years after final remittance is made on any account placed with the licensee for collection or after any account has been returned to the claimant on which one or more payments have been made. 2. Transfer of accounts. No licensee, when terminating its business, may transfer an account to another debt collector without first securing the written permission of the client. 1. Insolvency. If the superintendent determines that a licensee located in this State is insolvent or that he has collected accounts but has failed to remit money due to any claimant or forwarder within 30 days from the end of the month in which collection was made or, when the license of a debt collector has expired or terminated for any reason whatsoever, the superintendent, if he determines that action necessary to protect the public interest, may apply to the Superior Court of the county in which the main office of the debt collector is located, authorizing him to take possession of the assets and the books and records of the licensee for the purpose of liquidating its business and for such other relief as the nature of the case and the interest of the claimants or forwarders may require. The court, after citing the licensee to show cause why the superintendent should not be authorized to take possession of the assets and books of accounts and records for the purpose of liquidating the business of the licensee, and, after hearing the allegations and proofs of the parties and determining the facts, may upon the merits dismiss the application or, if it finds that action necessary for the protection of the public, issue its order authorizing the superintendent to take possession of the books and records and to liquidate the business and granting such other relief as it deems necessary under the circumstances. 2. Powers and duties. In every case where the court issues an order authorizing the superintendent to take possession of the books and records and to liquidate the business of a licensee, the superintendent shall be vested with all of the powers, duties, authority and responsibility of a receiver, and without limiting the generality of this subsection and subject to the approval of the court. F. Nothing contained in this subsection may preclude a creditor of a debt collector from prosecuting any and all legal actions and pursuing any and all remedies afforded him by the laws of this State for collection of debts until such time as the superintendent takes possession of the debt collector’s agency under this section. The aggregate of license fees provided for by this chapter is appropriated for the use of the Bureau of Consumer Credit Protection. Any balance of these funds shall not lapse, but shall be carried forward to be expended for the same purposes in the following fiscal year. Any person who carries on business as a debt collector without first obtaining a license pursuant to this subchapter, or who carries on that business after the revocation, suspension or expiration of any license, or who performs duties relating to the conduct of a debt collector on behalf of another person as an officer, director, employee, agent or in any other capacity, unless the other person has first obtained a license which has not expired, but been revoked nor suspended is guilty of a Class E crime. The Bureau of Consumer Credit Protection may investigate the records and practices of a licensee in accordance with Title 9-A, section 6-106, and may charge for expenses incurred pursuant to Title 9-A, section 6-106, subsection 6. The superintendent may file a complaint with the District Court to suspend or revoke a license issued pursuant to this chapter, if, after investigation or hearing, or both, the superintendent has reason to believe that the licensee has violated any provisions of this chapter or any administrative rules issued pursuant to this chapter, or has failed to maintain its financial condition sufficient to qualify for a license on an original application. When a supervised financial organization is the creditor, the Superintendent of Financial Institutions has concurrent examination authority under section 11051. The administrator and the Superintendent of Financial Institutions shall cooperate in enforcing this chapter. Any appeal from the decision of the superintendent may be taken in accordance with Title 5, chapter 375, subchapter VII. The superintendent may, through the Attorney General, bring a civil action for a penalty not to exceed $5,000 against any person who willfully violates this chapter. No civil penalty pursuant to this section may be imposed for violations of this chapter occurring more than 2 years before the civil action is brought. 3. Defenses. A debt collector may not be held liable in any action brought under this chapter if the debt collector shows, by a preponderance of evidence, that the violation was not intentional and resulted from a bona fide error, notwithstanding the maintenance of procedures reasonably adapted to avoid any such error. 4. Action to enforce liability. An action to enforce liability under this section shall be brought within one year from the date on which the violation occurs. 5. Action in good faith. No provision of this section imposing any liability may apply to any act done or omitted in good faith in conformity with any rule or advisory ruling of the superintendent, notwithstanding that, after the act or omission has occurred, the rule or advisory ruling is amended, rescinded, repealed or determined by judicial or other authority to be invalid for any reason. 1. If it is the understanding of the creditor and the consumer at the time an extension of credit is made that delay in making repayment or failure to make repayment could result in the use of violence or other criminal means to cause harm to the person, reputation or property of any person, the repayment of the extension of credit is unenforceable through civil judicial processes against the consumer. 2. If it is shown that an extension of credit was made at an annual rate exceeding 33% calculated according to the actuarial method and that the creditor then had a reputation for the use or threat of use of violence or other criminal means to cause harm to the person, reputation or property of any person to collect extensions of credit or to punish the nonrepayment thereof, there is prima facie evidence that the extension of credit was unenforceable under subsection 1. I. Engage in conduct in violation of a rule adopted and published by the administrator after like conduct has been restrained or enjoined by a final order of a court in a civil action by the administrator against any person pursuant to the provisions or injunctions against fraudulent or unconscionable agreements or conduct, section 6-111. 3. False promises. Promise performance that the seller does not intend to perform or knows will not be performed. 1. If a creditor has violated the provisions of this Act applying to collection of excess charges or enforcement of rights, section 1-201, subsection 5, waiver clauses, section 1-107, use of multiple agreements, section 3-304, certain negotiable instruments, section 3-307, assignee subject to defenses, sections 3-403 and 3-404, restrictions on liability in consumer leases, section 3-401, balloon payment, section 3-308, security in sales or leases, section 3-301, cross-collateral, sections 3-302 and 3-303, assignments of earnings, section 3-305, attorney’s fees, section 2-507, limitations on default charges, section 3-402, authorizations to confess judgment, section 3-306, restrictions on interests in land as security, section 2-307, limitations on the schedule of payments or loan term for regulated loans, section 2-308, for credit insurance, section 4-104, separate charges for excess charge for property insurance, section 4-301, restrictions on deficiency judgments, section 5-103, garnishment before judgment, section 5-104, or limitations on garnishment, section 5-105, cure of default, section 5-111, misrepresentation, section 5-115, illegal, fraudulent or unconscionable conduct in an attempted collection of debts, section 5-116, any aggrieved consumer has a right to recover actual damages from a person violating this Act, or in lieu thereof any consumer named as a plaintiff in the complaint as originally filed has a right to recover from a person violating this Act an amount determined by the court not less than $250 nor more than $1,000. With respect to violations from open-end credit, no action pursuant to this subsection may be brought more than 2 years after the violations occurred. With respect to violations arising from other consumer credit transactions, no action pursuant to this subsection may be brought more than 2 years after the due date of the last scheduled payment of the agreement. 2. If a creditor has violated the provisions of this Act applying to authority to make supervised loans, section 2-301, the debtor is not obligated to pay any application fee, prepaid finance charge or closing cost, nor the loan finance charge owed for the first 12 months of the loan. If the debtor has paid any part of the application fee, prepaid finance charge, closing cost or loan finance charge owed for the first 12 months of the loan, the debtor has a right to recover the payment from the person violating this Act or from an assignee of that person’s rights who undertakes direct collection of payments or enforcement of rights arising from the debt. With respect to violations arising from loans made pursuant to open-end credit, no action pursuant to this subsection may be brought more than 2 years after the violation occurred. With respect to violations arising from other loans, no action pursuant to this subsection may be brought more than one year after the due date of the last scheduled payment of the agreement pursuant to which the charge was paid. 3. A debtor is not obligated to pay a charge in excess of that allowed by this Act, and if he has paid an excess charge he has a right to a refund. A refund may be made by reducing the debtor’s obligation by the amount of the excess charge. If the debtor has paid an amount in excess of the lawful obligation under the agreement, the debtor may recover the excess amount from the person who made the excess charge or from an assignee of that person’s rights who undertakes direct collection of payments from or enforcement of rights against debtors arising from the debt. 4. If a creditor has contracted for or received a charge in excess of that allowed by this Act, or if a debtor is entitled to a refund and a person liable to the debtor refuses to make a refund within a reasonable time after demand, the debtor may recover from the creditor or the person liable an amount determined by the court not less than $250 nor more than $1,000. With respect to excess charges arising from open-end credit, no action pursuant to this subsection may be brought more than 2 years after the time the excess charge was made. With respect to excess charges arising from other consumer credit transactions, no action pursuant to this subsection may be brought more than one year after the due date of the last scheduled payment of the agreement pursuant to which the charge was made, or the date the agreement was paid in full, whichever was earlier. 5. Except as otherwise provided, no violation of this Act impairs rights on a debt. 6. If an employer discharges an employee in violation of the provisions prohibiting discharge, section 5-106, the employee may within one year bring a civil action for recovery of wages lost as a result of the violation and for an order requiring the reinstatement of the employee. Damages recoverable shall not exceed lost wages for 6 weeks. 7. A creditor has no liability under subsection 1 or subsection 4 if, within 60 days after discovering an error, and prior to the institution of an action under this section or the receipt of written notice of the error, the creditor notifies the person concerned of the error and corrects the error. If the violation consists of a prohibited agreement, giving the debtor a corrected copy of the writing containing the error is sufficient notification and correction. If the violation consists of an excess charge, correction shall be made by an adjustment or refund. 8. If the creditor establishes by a preponderance of evidence that a violation is unintentional and the result of a bona fide error notwithstanding the maintenance of procedures reasonably adapted to avoid any such violation or error, no liability is imposed under subsections 1 and 3, the validity of the transaction is not affected, and no liability is imposed under subsection 4, except for refusal to make a refund. 9. In an action in which it is found that a creditor has violated this Act, the court shall award the debtor the costs of the action together with reasonable attorney’s fees. Reasonable attorney’s fees shall be determined by the value of the time reasonably expended by the attorney and not by the amount of the recovery on behalf of the debtor. 10. A creditor has no liability under subsection 1 or subsection 4, or under subsection 2 of section 6-113, for any act done or omitted in good faith in conformity with any rule, regulation or interpretation thereof by the administrator, notwithstanding that after such act or omission has occurred, such rule, regulation or interpretation is amended, rescinded or determined by judicial or other authority to be invalid for any reason. Knowing and abiding to the proper Maine debt collection laws is important for both creditors and collection agencies alike. There are debtor’s rights attorneys who are just waiting for creditors or collection agencies to slip up. If you mistakenly violate the Maine debt collection laws, you could create a liability for your business and even open yourself up to a expensive lawsuit. Please note: Maine debt collection laws can change over time, and you need to consult with an attorney before you use this information.